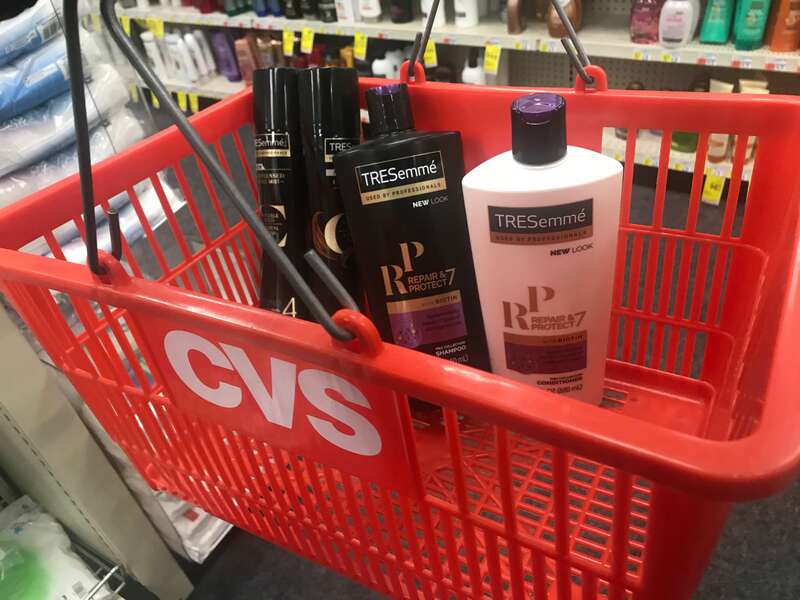 CVS Shoppers, now through 10/27 spend $15 on Dove & TRESemmé hair products and get a $5.00 ECB. In addition to the ECB offer, these products are on sale this week. 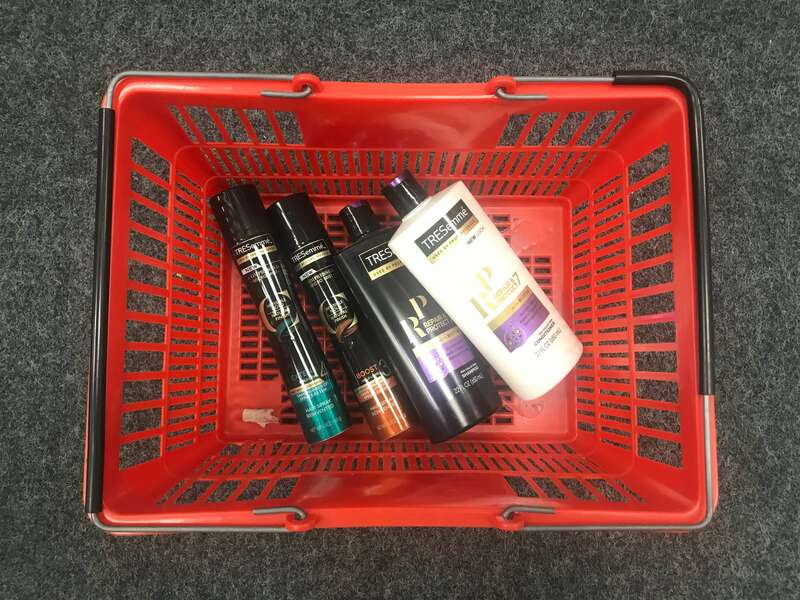 Select Dove or TRESemmé hair care products are on sale for 2/$8 and TRESemmé premium products are on sale for 2/$10 through 10/27. Check out this deal idea below showing you how to score these high-end products for just $1.50 each after sale, coupons and ECB! That’s over 75% off the regular price, how awesome is that!? Out with the summer hair, in with your new fall ‘do! 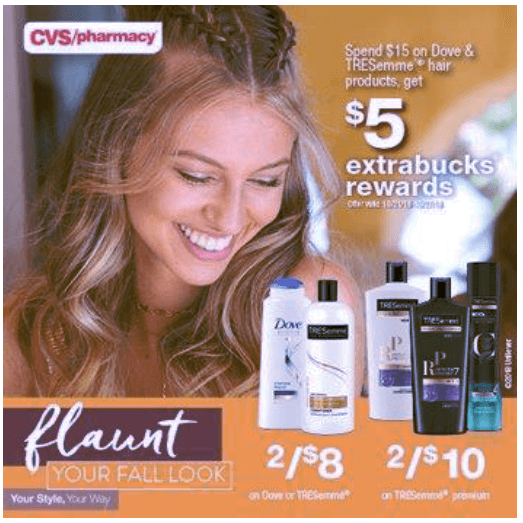 Now that Autumn is in full swing, it’s time to revamp your hair routine to accommodate one of the season’s freshest trends and now is the perfect time with these great savings! I’m loving the New TRESemmé Compressed Micro Mist Hairspray because it holds my boldest styles without any of the stiffness.